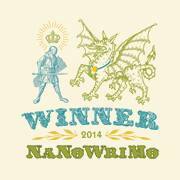 ← #NaNoWriMo Check In – Week Three – BOOM!!! In case you’re wondering, yes, this IS my angry face. I don’t hate Christmas, not like I used to. I just dislike the hype and commercialisation. However, since this is the second Christmas my boys will experience, and the first during which they will know something special is going on, I want to make sure it’s fun and memorable. More on that later. Waaaaaaaaaay later; it’s still freakin’ November. I’ve had a reasonably enjoyable week. My main focus has been writing, but because of that I was able to share Friday’s news. I still have a spring in my step and a warmth in my heart. And… last night I managed to watch the 50th Anniversary episode of Dr Who without hearing/seeing any spoilers beforehand. So… There we are! Finish SORB. It’s a stretching goal, but within what I’m capable of. I’m close enough to the end to do it. So long as I focus. Yep. Sorted. I knew it was a stretching goal, but even with the extra chapters I had to add and the jiggling around I had to do, I made it. Bliss! The first time ever I’ve managed to actually write the novel in a month, rather thank just hitting the 50k target. 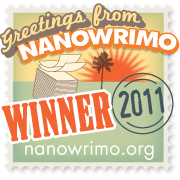 Not that I want to belittle what anybody else has done – because it’s an amazing achievement – but I finished the draft. That was my goal. I’m happy. Chase up models for ‘Carol, Niall & Lin’ cover shoot – so exciting!!! This is done too. I ‘made my selections’ with Grace and now we’re just waiting for confirmation. Whoohoo! This week, even though SORB is done, I still feel I should be using November to write. I have so many days left in which to achieve things, so I’m going to get a move on. Let’s see…. Leave SORB alone! Don’t change it, don’t mess with it, nothing! Edit ‘Send In The Clowns’ – I’ve not even told you about that one, have I? – in preparation for submission to Flash 500. That should keep me busy and, of course, bring me neatly into December. I’m looking forward to getting into that and sticking a real pin in what I want to achieve for the end of this year. I hope you guys are all well and that November has treated you well. This entry was posted in Goals Posts *haha! *, Ileandra's Posts, NaNoWriMo 2013, Silk Over Razor Blades and tagged 50k words, complete novel, don't stop writing, goal, goals, nanowrimo2013, postaweek2013, word count. Bookmark the permalink.